There are art quilters who create wall quilts that look like realistic photos and then there are art quilters like myself who are reaching for abstract interpretation through fabric. T hese different approaches don’t preclude contemporary quilters from using a photograph as inspiration for an art quilt. 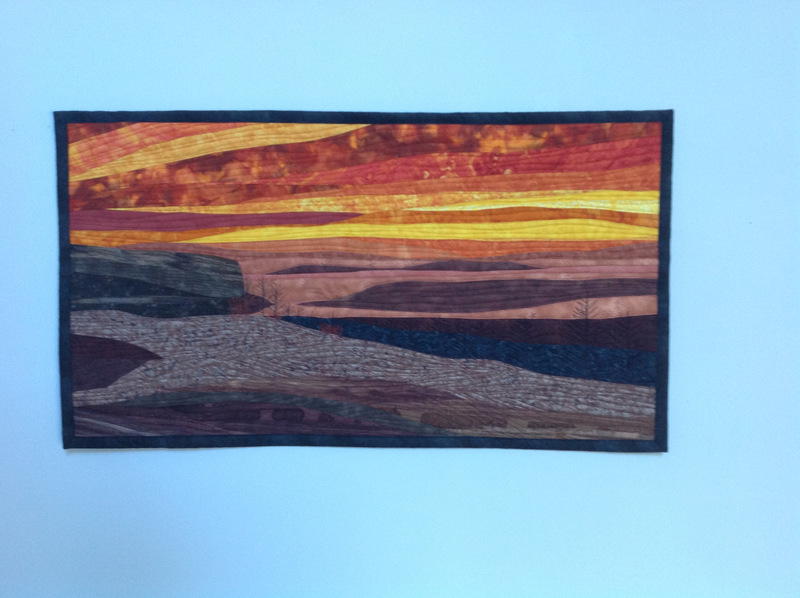 I have made a series of sunset art quilts, some sunrise wall quilts, some beach scenes, and trees in woods scenes into art quilts. You won’t find a motif of a leaf or a seashell or a house in my art quilts but you will be able to recognize the abstract landscape. I have had customers at arts festivals ask if I would make a quilt from a photo they have to which I have said yes, but…it would be an abstract interpretation, not a realistic translation. Last year a couple aske d if I would make a quilt from a picture in a magazine. 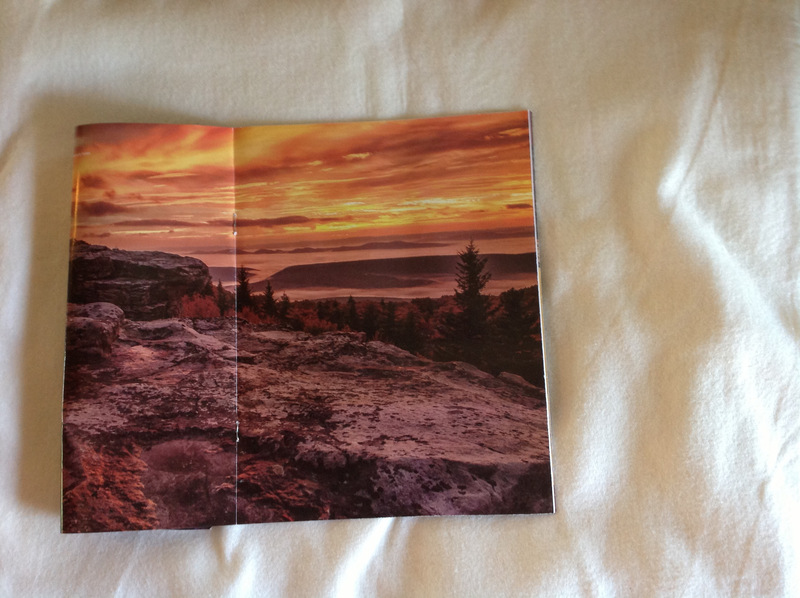 The photo reminded them of sunsets in their home state of West Virginia from their youth. The photo from the magazine and the quilt I created for them are shown in photos with this blog post. I had another friend with a vacation home on Long Beach Island NJ who wanted a sunset from that location and a daytime beach scene. I used photos as guidance and inspiration for her two quilts. We have spectacular sunsets from our west facing deck in central Pennsylvania. I stockpile sunset photos and use them as ideas when making sunset quilts. The colors and designs for sunsets vary dramatically yet there are some common colors that morph in and out while a sunset transitions from brilliant colors to brushes of waning color in the dark sky. Becoming an art quilter has sharpened my observation skills. I look more carefully at possible landscape subject matter to see how the light and color interact. With a less than perfect ability to remember, I use photographs or composites of photographs as inspiration.